Guidance and counselling is an important educational tool in shaping the personality and basic orientation of the child since childhood. All good things when initiated early turns out to be successful over a period of time. Counselling from a young age helps a child tackle the negative ideas planted by his/her peers in school. Hence the need for certified Career counsellors to assist the child in moulding their future through counselling therapy is extremely important. A school counsellor is seen as a role model and highly respected by students. The counsellors by their training are expected to be friends with the school child, listen to the child’s complains, shortcomings and provide guidance to the child in the quest of moulding the child in the right direction towards a successful and happy life ahead. Research states that “the total development of a child can only take place in an environment conducive for teaching and learning”. 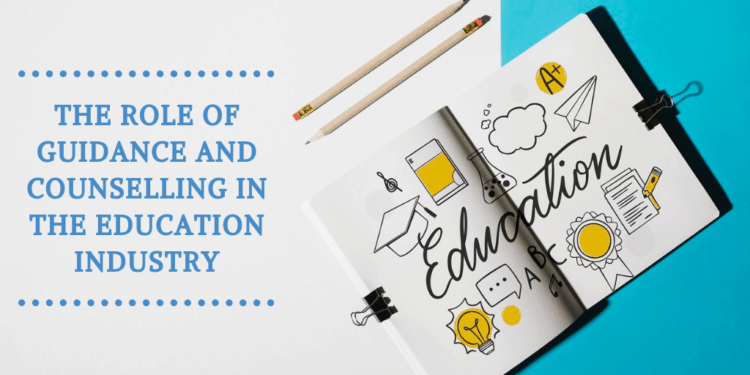 It is in the realization of the above that all educational services which can promote teaching and learning in schools are given prominent attention by educational planners. Counselling services are among the school educational services. It is believed that guidance and counselling services in school shall develop, assess and improve educational programs; enhance teaching and improve the competence of the teacher and reduce the cost for the children. School students go through a rollercoaster of emotional, hormonal and societal changes. The transition from childhood to adulthood is a difficult one, even for the most balanced child. Apart from the influence of the family, the other major influence happens in the school and its environment. Counseling and guidance can provide a good basis for a broader education for life. While being non-medical and non-psychiatric, it can be used as therapy for individuals with specific personal problems, or it can be the foundation of a more general “life skills training program” for the student who, though not suffering from any particular problem, should be assisted in building up his/her personal resources in order to cope effectively with their future. Hence, the Role of Guidance and Counselling in Effective Teaching and Learning in Schools for Child Future Success. The overall development of the students which comes about by allowing each individual to achieve and perform to his best is what every school should aim for. It is always about the constant and continuous interaction between the students and the teachers that bring about the most desirable results over time too. Well, school counsellors must have the right knowledge and skill set to guide student’s right from a very young age through their college decisions. Career Counsellors are an integral element of the entire educational system and overall development of a student’s journey to a successful life. School counselling programs have a positive impact on several groups of people at school. It doesn’t limit to only students, but also other faculty and members of the education system can always seek help. Over the last year, the Indian education system has seen quite a few changes. The most remarkable one being CBSE’s mandatory rule on having a certified career counselor on every school’s payroll. This has not only brought up a revolutionary change in the guidance and counselling industry but also risen a scope for all those aspiring to become a career counsellor and looking for job security. Understanding the benefits that school counsellors afford to students, parents, teachers, administrators and student services personnel could help you make the decision to pursue this career. The Global Career Counsellor Certification Course a unique, all-in-one guide that takes you through everything you need to know about career counselling. The collaboration of Univariety with University of California, Los Angeles (UCLA) Extension has given rise to this comprehensive program that allows you to explore and excel in the world of career counselling. Consequently, you will be exposed to a cross-section of knowledge that you can explore at your own pace. By garnering deep insights and avid knowledge about core concepts, a GCC-certified counsellor can provide students with adequate guidance to align their interests with their career choices. The most satisfying part about being a certified career counsellor is having the ability to guide students towards success. At the end of the GCC program, you will be absolutely prepared to design a roadmap for students that will help their journey towards well-defined goals. By syncing their personality, aptitude, and passion with their career path, you can help align a student’s interests with their college and course choices. To become a Certified Global Career Counsellor today!